It isn't signed, but it's easy to see that Peter made it. We need a bit more Peter Lange don't we! This trademe purchase arrived today. I'm very happy with it. The body is very white and looks like a porcelain clay to me. And here's a more recent one that I got from Marcus a few months ago. Great stuff Jeremy! 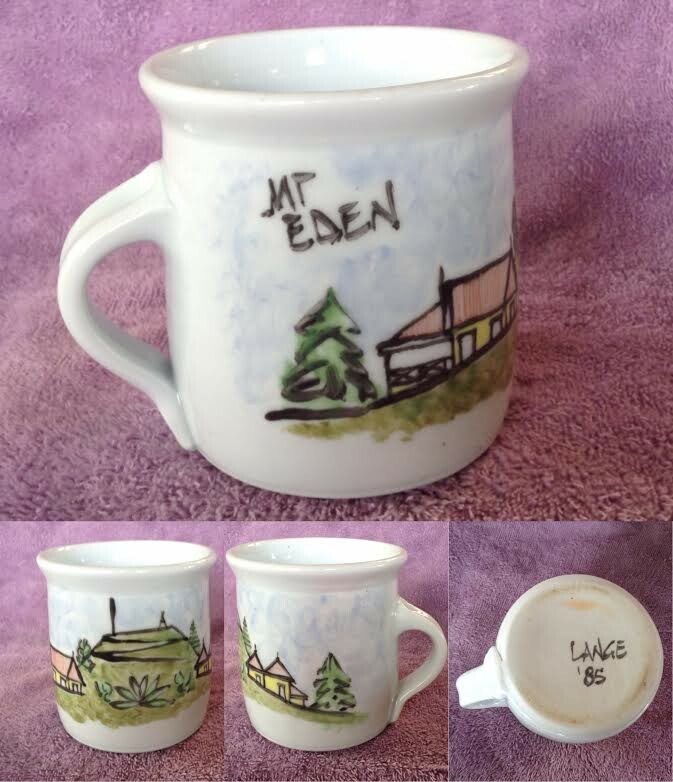 I was watching the Mt Eden mug as I think it is great. 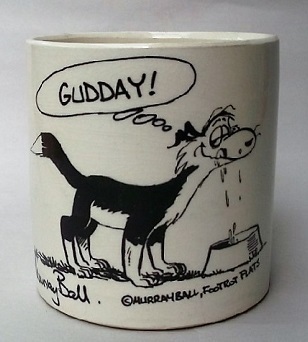 Not sure if it's porcelain though, as white earthenware is easier to control. It was a surprise to me but first thing I noticed looking at the base was that it looked like porcelain, so, as I noted above, I did the light test and it positively glowed. Even holding it to the bedhead light I can see the silhouette of my fingers through it. 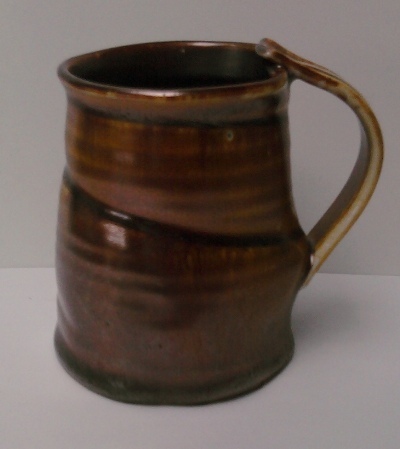 Two more Peter Lange mugs. 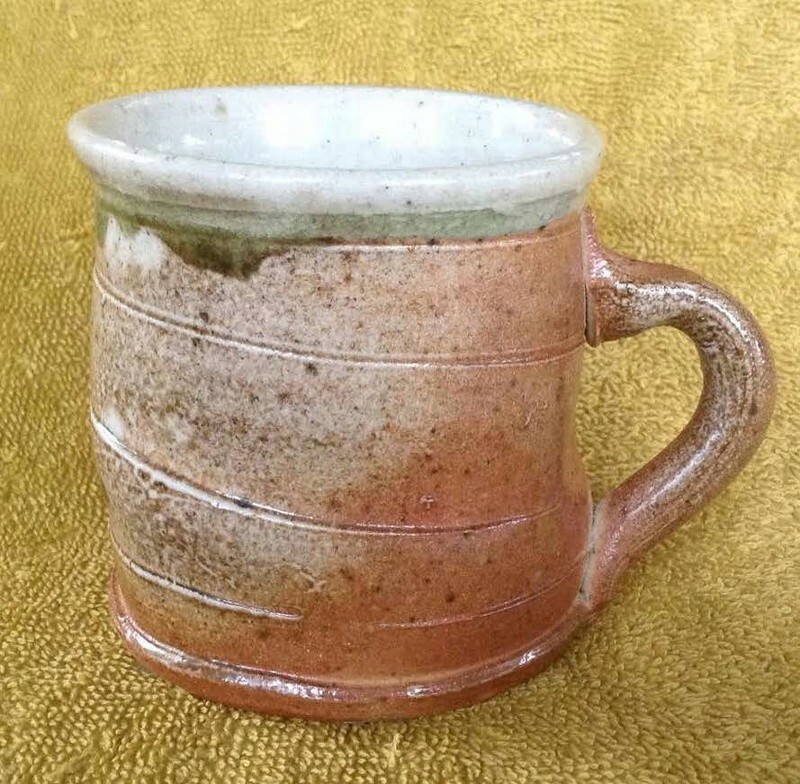 The salt- or soda-glazed mug with the red copper accents is a tm buy. I think it was made within the last decade. I certainly didn't need this but of course I did want it. 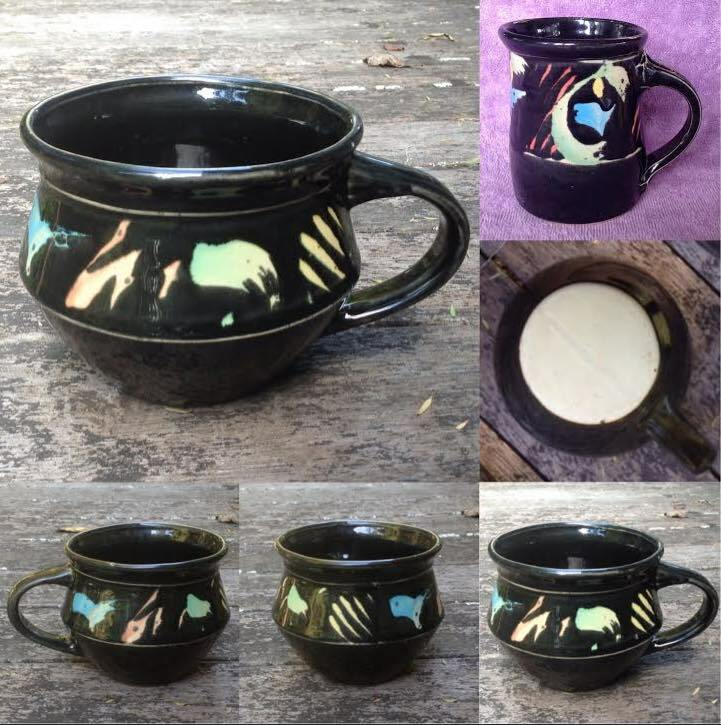 The black mug with coloured deco revealed beneath is a few decades old. I had not seen this work until Marcus pulled it out on Sunday so I was pleased that I correctly identified the handle as Peter's work. I am slowly learning. 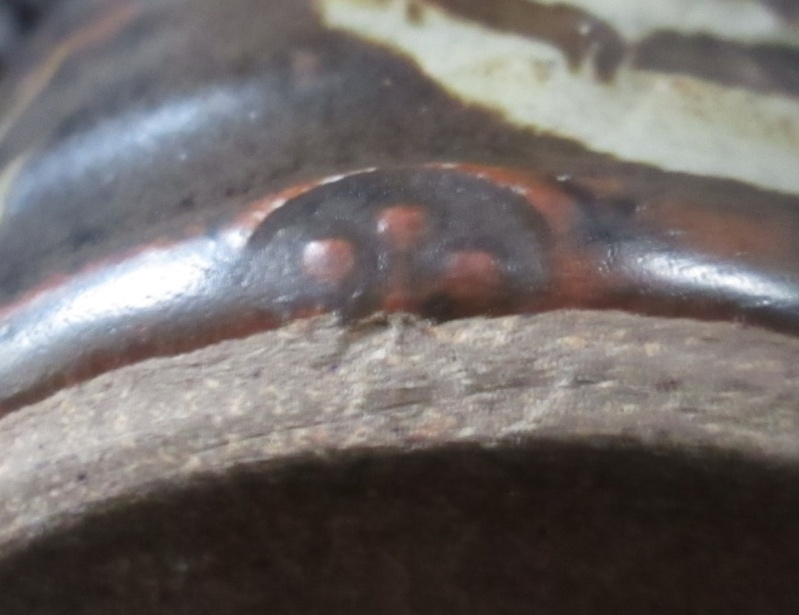 This one is unmarked for maker and from look and sound appears to me to be earthenware. With two from Marcus, two from tm and one from Kat & Co. I now have five Lange mugs. 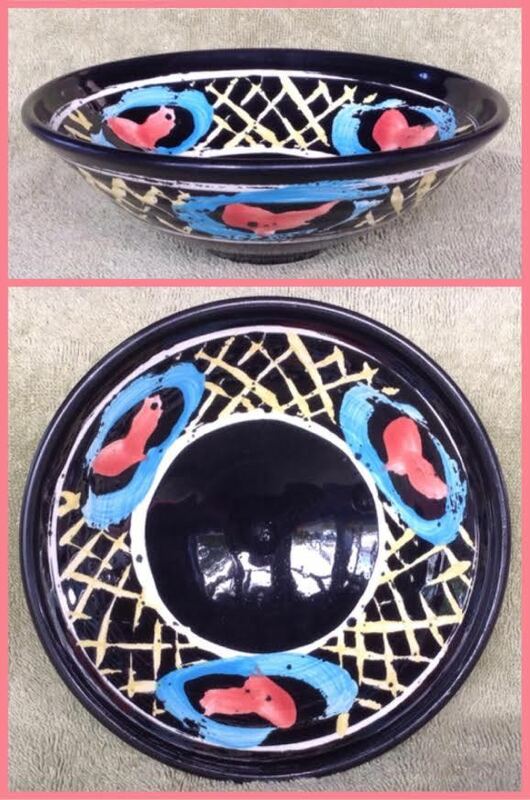 I saw Peter's collection a few years ago and saw the brightly painted ware that he made. You never know what's going to turn up in the opshops. This was certainly a surprise. 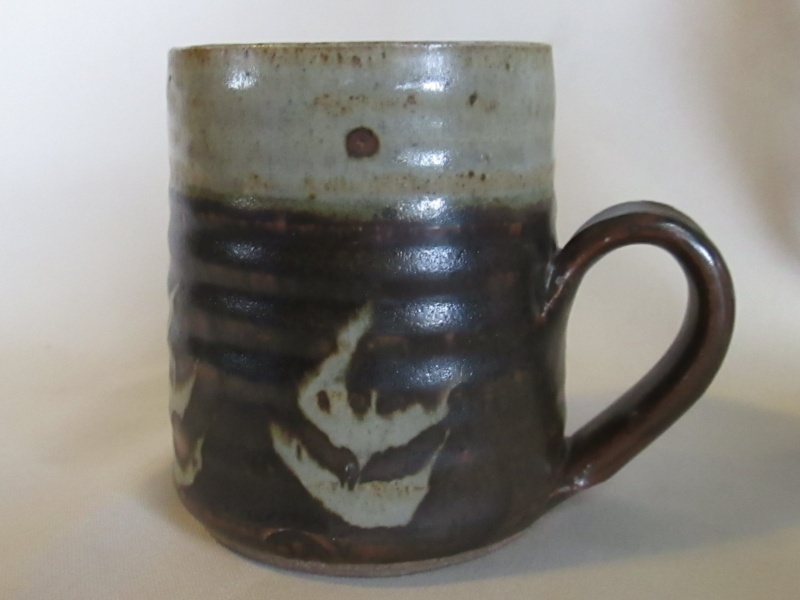 This cast coffee or soup mug appeared to me to have the same deco as the Peter Lange mug that I got from Marcus (above, and top right below). I went back to the car to check on the iPad and sure enough it looks like the same hand at work. 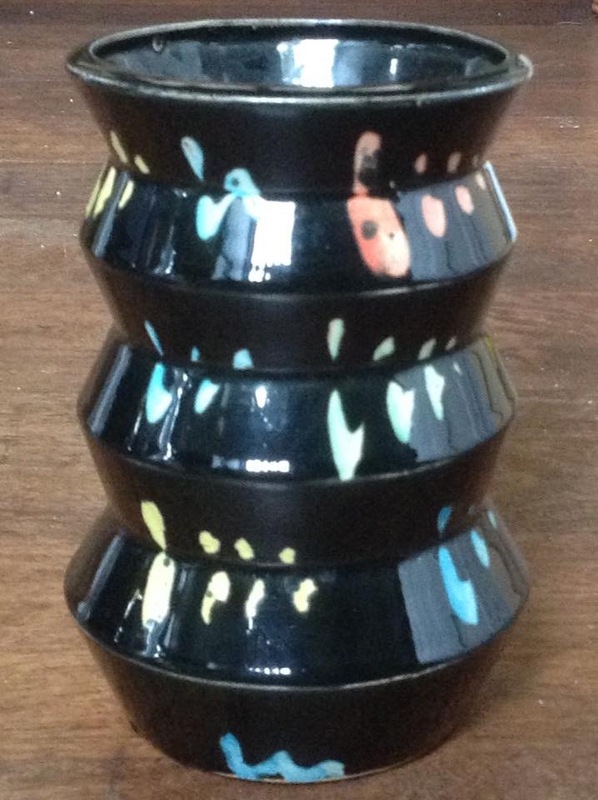 I knew that Lange had used casting techniques for some of his art pieces but had no notion of his using the same for table ware. 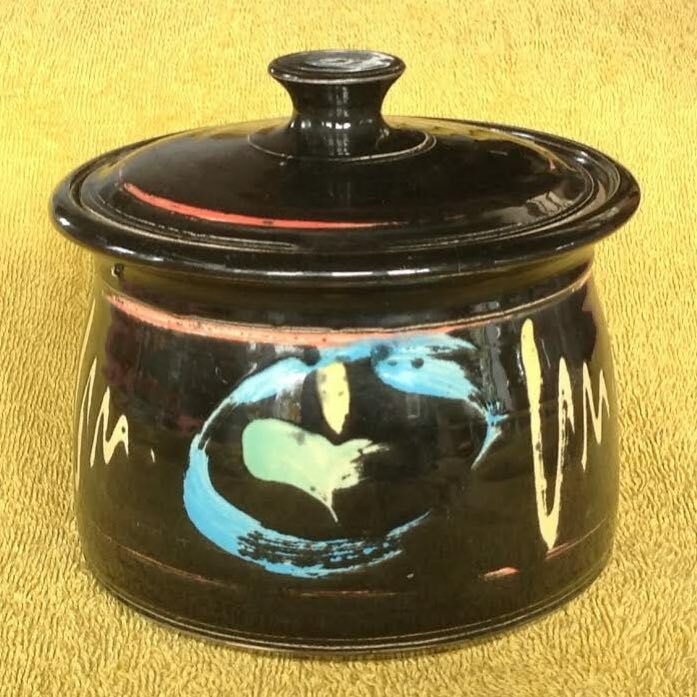 An unmarked lidded pot by Peter Lange rescued from the Whangarei Hospice shop. 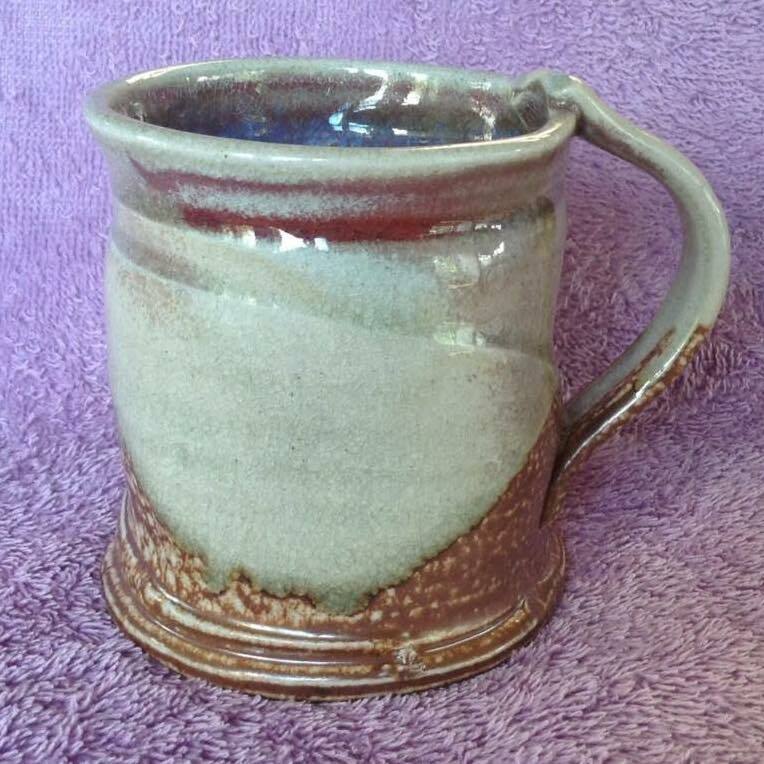 A heavily blushed coffee mug with push-on handle. Opshop, Onehunga, $2. 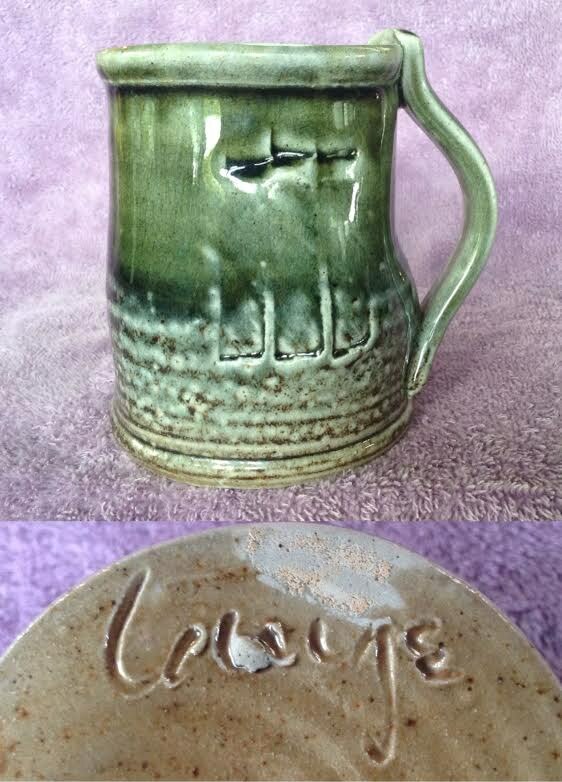 That makes 6 thrown Lange mugs I have now, seven mugs including the cast one. 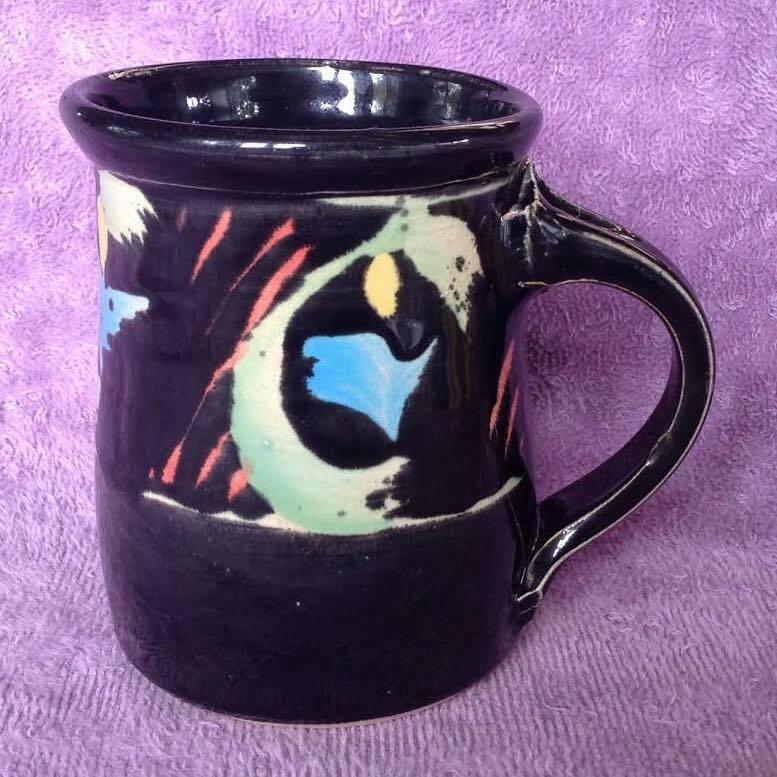 Yet another Lange mug. This one has a push-on handle. Some serious blush:the other side is all blush. $2 at one of the many Onehunga opshops. Peter suggests this one may be by the person he gifted the moulds and technique to. He didn't give a name.